A breed standard is a set of guidelines which is used to ensure that the animals produced by a breeder conform to the specifics of the standardized breed. Breed standards are devised by national or international breed associations, not by individuals, and are written to reflect the use or purpose of the breed. 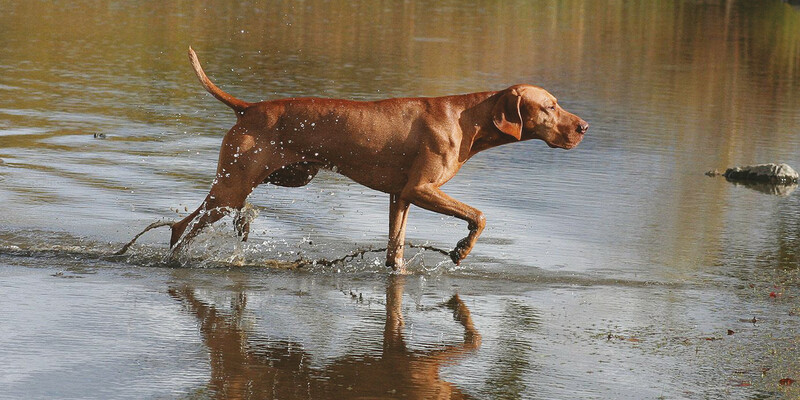 Essentially, it is a blueprint for an animal fit for the function it was bred – in the case of the Hungarian Vizsla, a hunt/point/retrieve gundog, that was originally trained to find live game and retrieve game that had been shot and wounded, and to make good companions with their temperament making them ideal all-round family dogs. While most dogs may not perform those same functions today, it is that standard “look” of the breed and its temperament which probably made you decide “I love Vizslas”. How is the breed standard relevant to you? The breed standard is the pattern used by breeders in their attempts to breed typical specimens of the breed, and it is the tool of the judge in assessing dogs in the show ring. Showing a dog isn’t just about winning ribbons and trophies; they are a way for breeders to have their dogs evaluated by an objective authority on the breed standard. In buying a well-bred pedigree puppy of the breed, you are usually guaranteed that the puppy will grow up with the appearance and temperament which attracted you to the breed. These documents are in PDF format and can be viewed with Adobe Reader on your computer or mobile device. If you do not have Adobe Reader, click here to go to the Adobe website to download it.